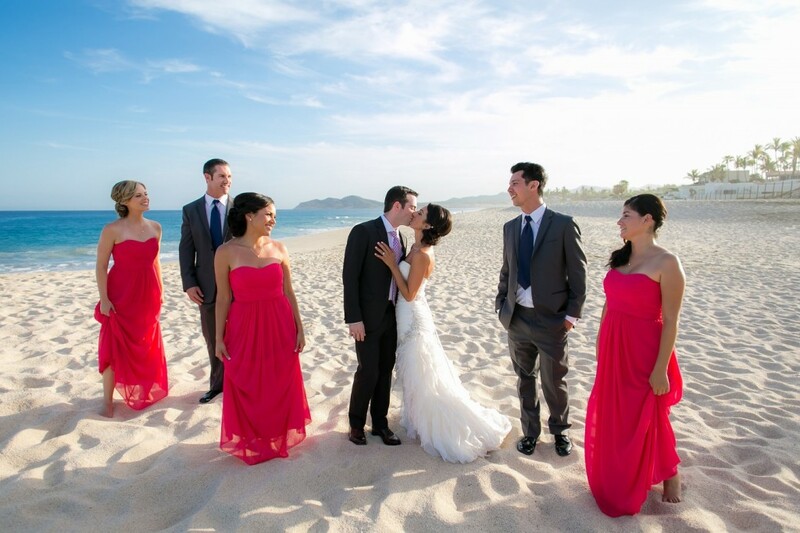 Dreams Resort is certainly a special venue for weddings here in Los Cabos! 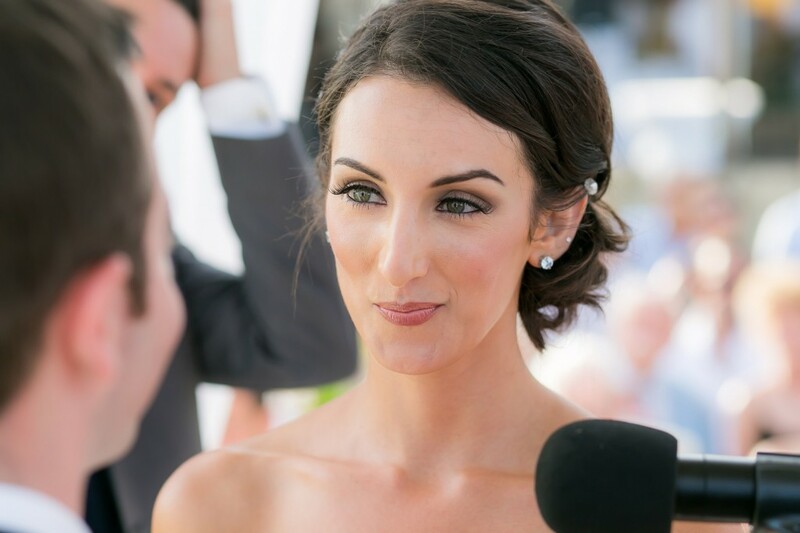 Gorgeous bride Magdalena came to us wanting a dramatic look for her wedding day at Dreams, so we styled her in the popular hooded eye make-up that looked straight off the red carpet! This dramatic eye make-up application adds depth to the eyelids and really helped Magdalena’s stunning green eyes stand out. We completed her make-up look with a medium pink lipstick that complemented the bride’s skin tone perfectly. 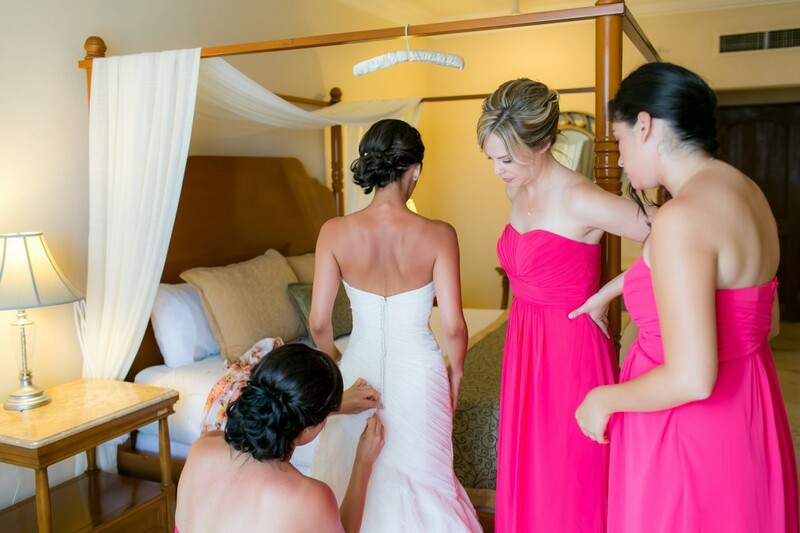 Magdalena’s wedding was on a summer day here in Cabo, so we styled her hair in a classic up-do. This particular style of up-do is normally reserved for long hair only, but our stylists were able to pull this one off with Magdalena’s medium-length dark locks. This bride and her bridal party were unbelievably beautiful in person, and they are stunning in these photos. The best feeling for us is that their make-up and hair was flawless from beginning to end, despite that this day was one of the hottest days of the summer! 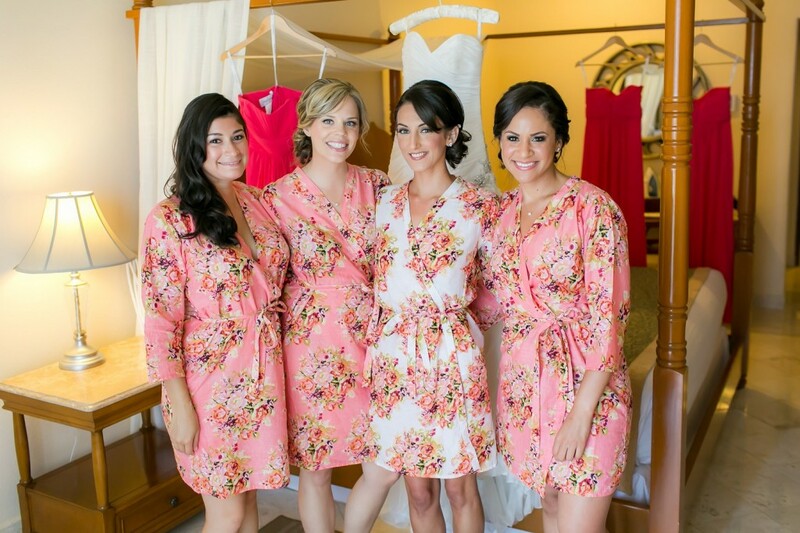 Thank you Ana & Jerome for the stunning photos of Magdalena and her bridal party! 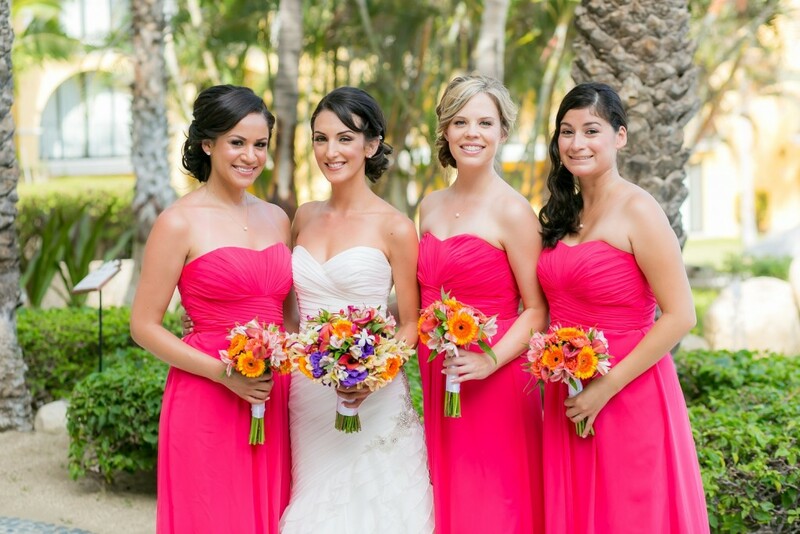 This entry was posted in Cabo Bridal Hair and Makeup and tagged Cabo bridal salon, Cabo bridal style, Cabo hair and makeup, Cabo mobile salon, Cabo wedding venue, destination wedding Cabo, destination wedding Mexico, dramatic wedding makeup, Dreams Resort wedding, hair stylist Cabo, hooded eye makeup, makeup professional Cabo, Mexico wedding hair, Mexico wedding makeup, summer wedding in Cabo, Suzanne Morel makeup, wedding hair in Cabo, wedding makeup in Cabo, wedding updo in Cabo.